Most Japanese Restaurants in Cebu are quite expensive. But there's a humble Japanese-inspired restaurant that breaks this status quo. I am referring to Joed's Lutong Hapon along F. Cabahug Street in Kasambagan, Cebu City. This one is right in front of the Sarrosa International Hotel. I first dined at Joed's Lutong Hapon back when I was still working as a guidance services specialist at the University of the Philippines Cebu. 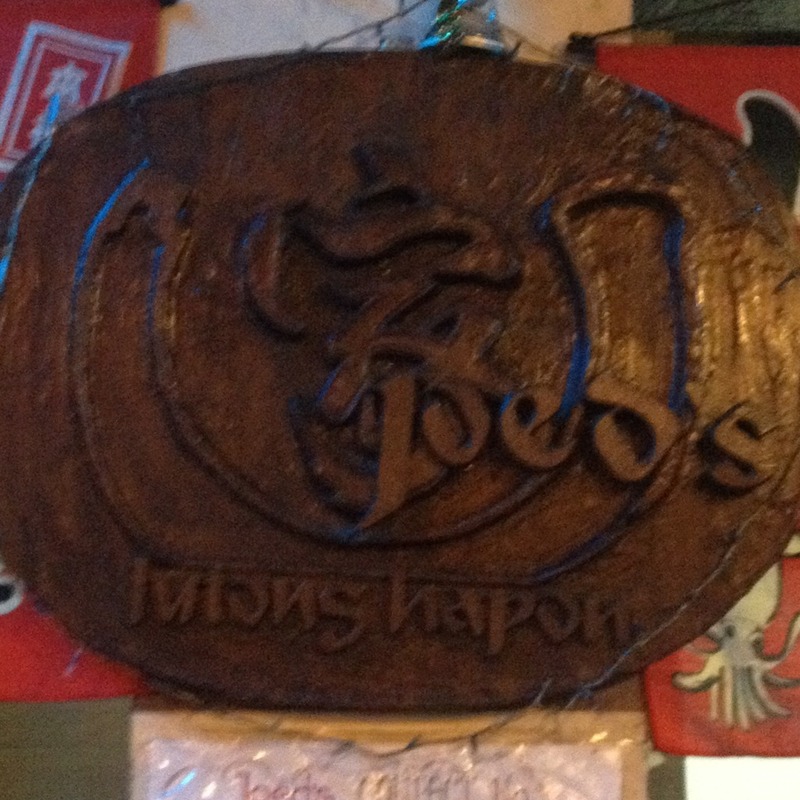 Joed's then was a humble carenderia serving Japanese dishes. It was located beside a basketball court along Pope John Paul II Avenue (formerly Juan Luna Avenue). A few years later, it was transferred to a place near the Sacred Heart School-Hijas de Jesus in barangay Capitol Site. The current store is their third relocation. One of the better placed restaurants along the stretch of Escario Street in Cebu City is Penong's Native Restaurant at the corner of Juana Osmeña Street and Escario Street. Penong's serves mostly grilled Filipino favorites as well as other Filipino-inspired dishes. 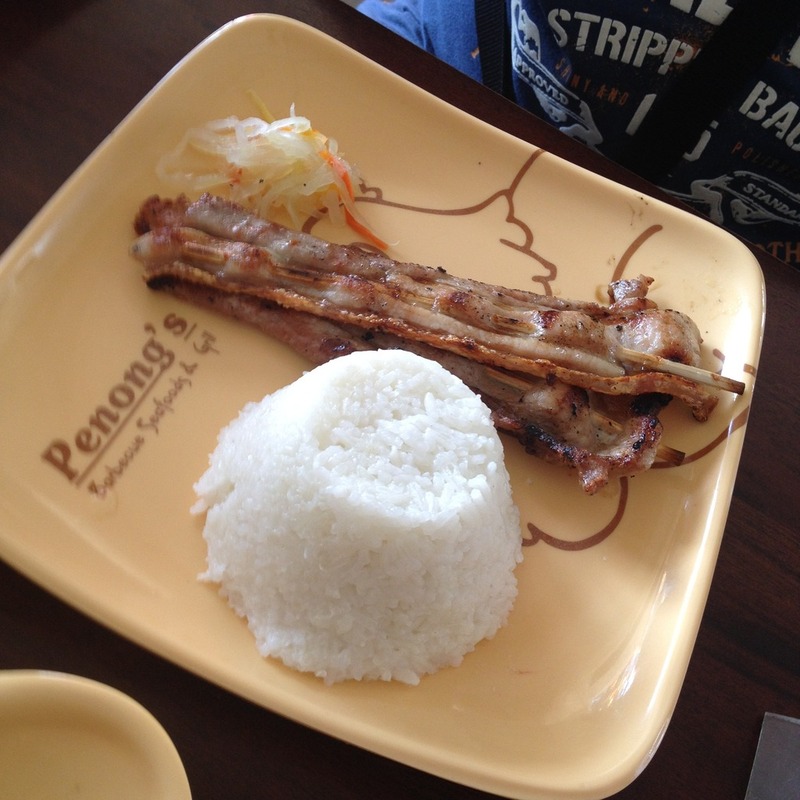 Penong's specializes in barbecue, seafood dishes, and grilled food. 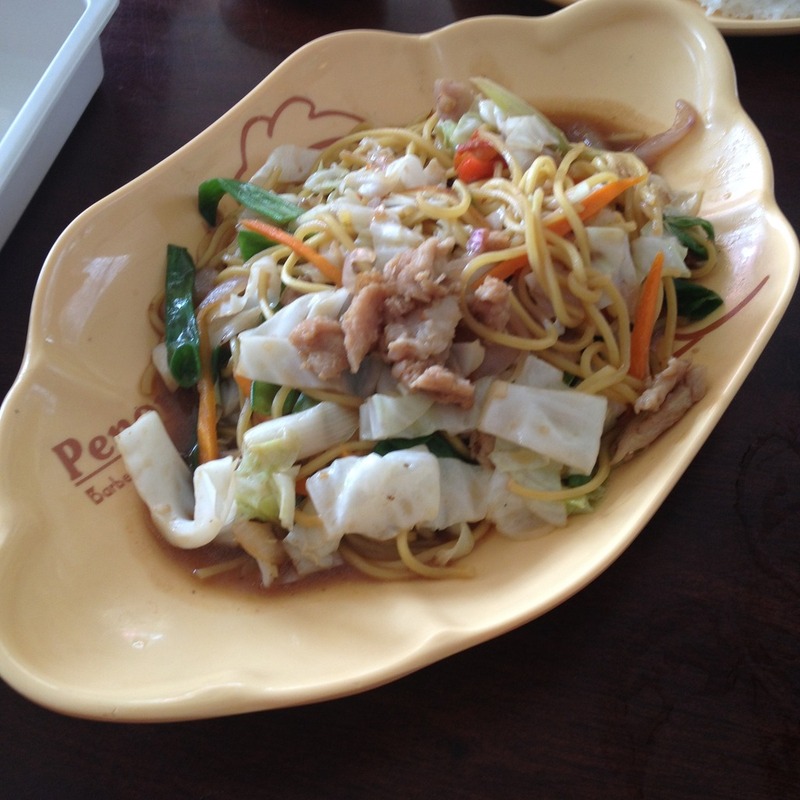 When we dined at Penong's, we ordered pancit canton, the chicken and pork barbecue combo meal, and the pork belly meal. Their combo meals or value meals comes with unlimited rice and atchara or pickled papaya. The pancit canton was really good. It had a lot of ingredients. There was pork, squid, shrimps, cabbage, onions, bell peppers, and lots of other vegetables. The chicken thigh barbecue was okay, the skin a little too charred for my preference. The meat flavor was good and just enough juiciness. The pork barbecue however was a bit hard and the size is not that big. The pork belly was grilled on a stick and this one was evenly cooked although a little too dry. The portion is also a satisfying one, not too big and not too small. There's a lot of other interesting dishes in the Penong's menu. They have short orders and platters that can serve three or more persons. 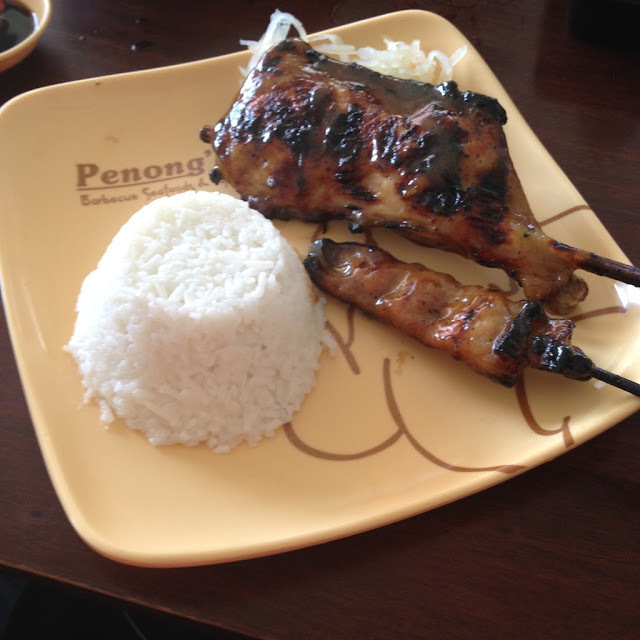 Have you tried the grilled specialties at Penong's Native Restaurant? What is your favorite item on their menu? You may share your them in the comments section below. Did you know that Cebuanos have a different version of dinuguan or pig blood stew? I grew up eating the Ilocano version of the Filipino dish. Thanks to my maternal grandmother's culinary traditions. The dinuguan that I was used to eating as a kid had real meat slices in it and several of the pig's internal organs mixed in the dish. The Cebuano version is mostly just pig's blood or that the meat is so finely minced you hardly notice that it's there. It's referred to as dugo-dugo instead of dinuguan. When I moved to Talisay, Cebu in 1993, I hardly had dinuguan the way I used to before. Luckily, Mang Inasal now serves the dinuguan dish that I knew from my childhood days in Zamboanga del Norte. That is dinuguan thas has real meat on it. 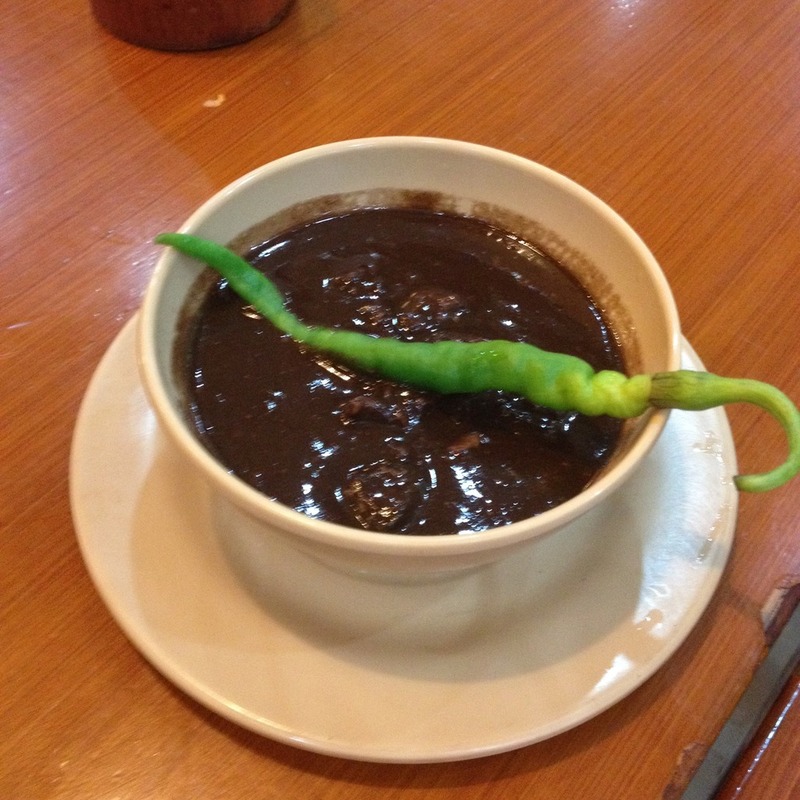 One can order Mang Inasal's dinuguan a la carte or with three pieces of puto (Filipino rice cake). I first came across a Chop Stop Restaurant in Cebu City on opening day at Robinsons Galleria at the North Reclamation Area. I did not mind it then as there were a lot of new restaurants to try at the newly-opened mall. It was my brother Nathan who invited me for lunch at the Chop Stop Restaurant in SM Seaside City, also a new mall that opened just a week or two ahead of Robinsons Galleria. As we entered the restaurant, we asked what was the chef's special and they readily offered their chops. 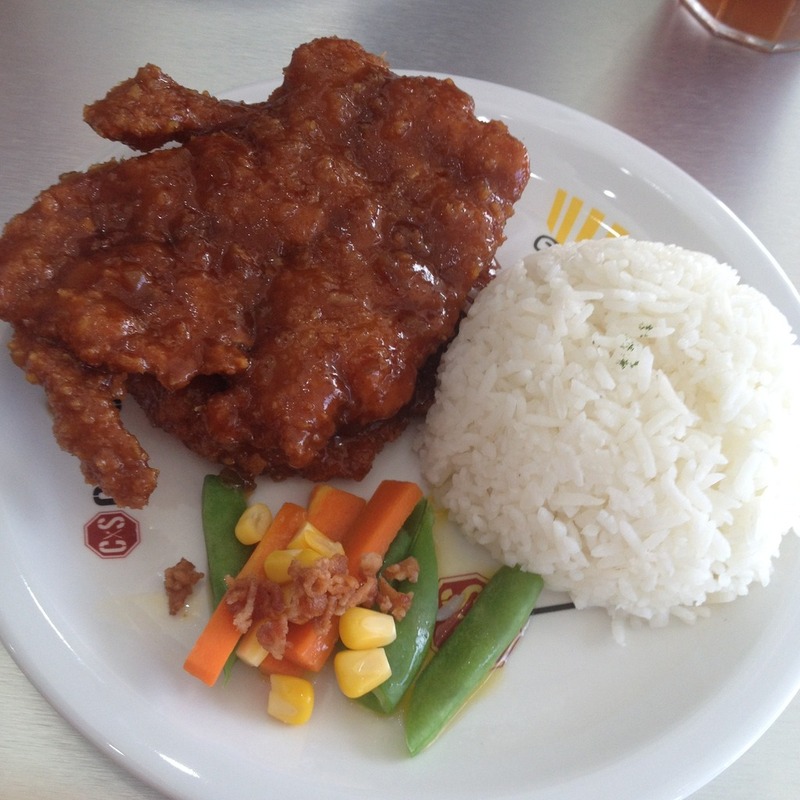 The fried chops can either be chicken or pork and it can come in four different flavors. It can come in 1-piece or 2-piece chops. When ordering, you first choose either chicken or pork for your meat. Then you choose your sides which can either be buttered vegetables or nachos with salsa. After that, you choose your sauce from four options: barbecue, chili, country, or Jack Daniels. Their bestseller is the Jack Daniels chops, fried pork or chicken chops adorned with a sauce whose main ingredient is Jack Daniels whiskey. The Jack Daniels sauce has some kind of a sting from its alcohol but it's a good one as it adds flavor into the meat. Another flavor that we tried was the chili chops. These are pork or chicken chops with a dressing that is spicy but with a hint of sweet. Yet another flavor we tried is the barbecue chops. This one is also good, a hint of smoke in the meat but with just enough sweetness and sourness too. Next time we will dine at Chop Stop Restaurant, we will be trying the country sauce and see how good that can be. The sauces at Chop Stop are good but I wish that the meat was more tender. We also tried their mugcake. 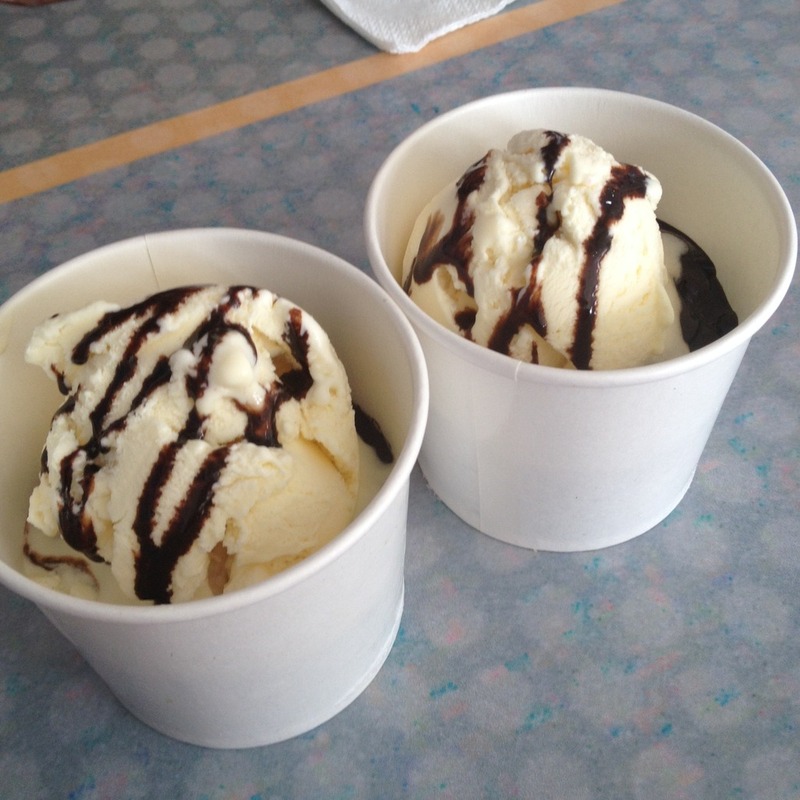 This dessert is like a warm brownie cup with ice cream on top. One item in the menu that also got me interested but have not tried yet is unlimited margarita. Maybe next time. 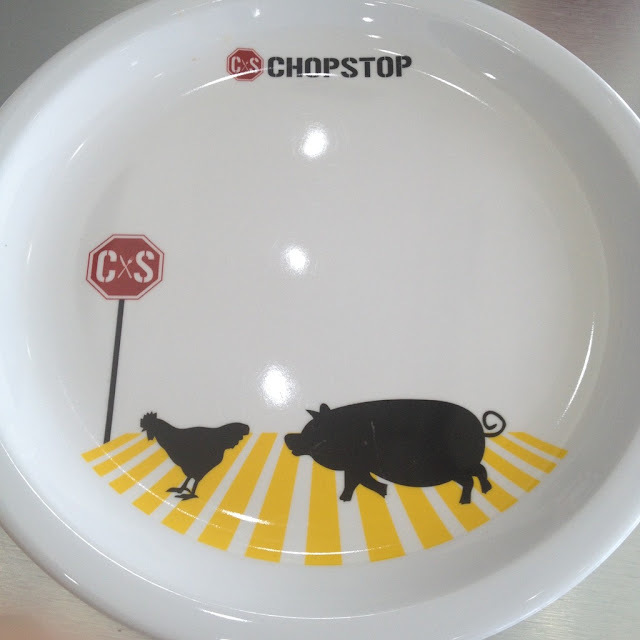 Have you tried the chops at Chop Stop Restaurant? What is your favorite flavor? Let us know in the comments section below. Cebu has long been known to be a beach destination. While the more popular beach resorts are those located in Mactan Island, there is actually a lot more to that that Cebu can offer in terms of beautiful beaches. Northern Cebu has its share of own beautiful beach places. The relatively quiet town of Daanbantayan has quite a few places worth checking out. Malapascua island is the more popular of these beach destinations in this town. But there are a few others on the part of town that is on mainland Cebu. I happened to stumble upon one of these beach resorts in one of my vacation trips in northern Cebu. Cebu Teambuilding Services identifies Virgin Beach Resort as among the affordable and conducive places to conduct team building programs at in northern Cebu. 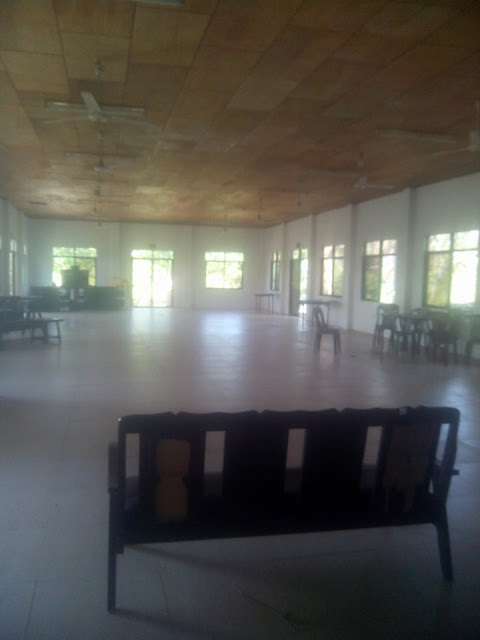 They have a good size function room and lots of open spaces to have team building activities on. Most Chinese restaurants in Cebu and the Philippines are either dimsum places, fast foods joints, or high end restaurants. Only recently have I come across a Chinese restaurant that caters to the working class. Well, it's not totally a Chinese restaurant. 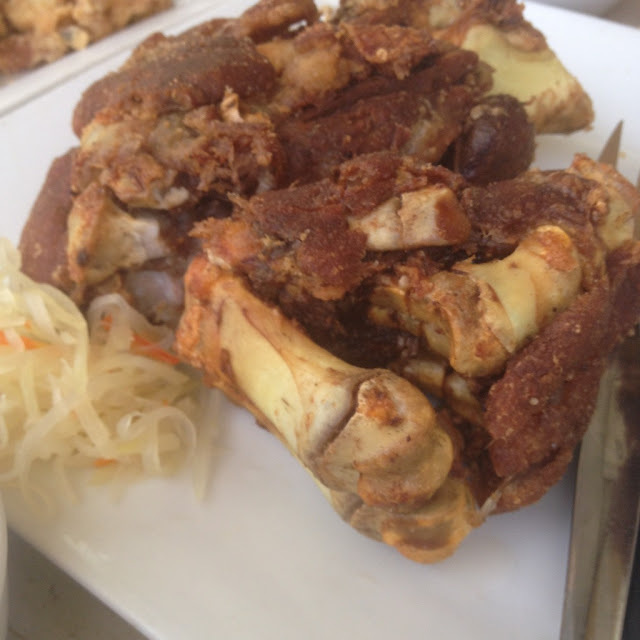 They serve a mix of Chinese dishes and Filipino favorites. 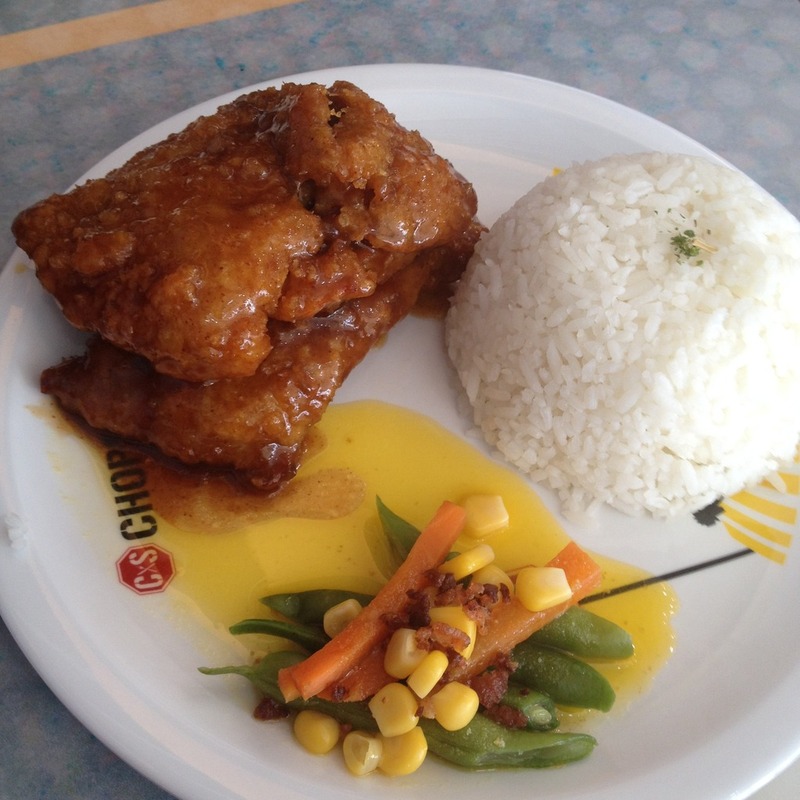 Therefore, Chix Savour can be more aptly be referred to as a Chinoy restaurant. Chix Savour started with students in mind and now is looking at expanding their market to target the working class, most of which are the call center agents or those working in the business processing industry at the nearby Asiatown I.T. Park in barangay Apas, Cebu City. I recently ate at the place with the #CBCFoodies, the food bloggers who are members of the Cebu Blogging Community, one of the more active blogging organizations in the Visayas and Mindanao regions. 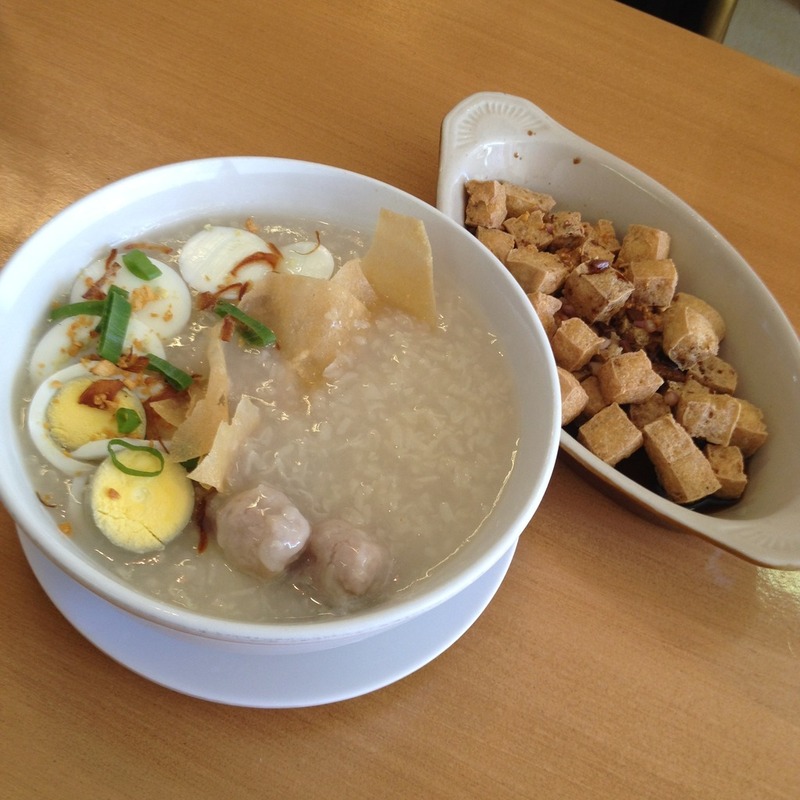 As starter, we were served some meatballs congee, tofulicious, and siomai. All these dishes paved the way for an amazing lunch. The tofulicious dish is a star. This was pleasantly different from all the tofu dishes I tried at other restaurants. Chix Savour's tofu has more crunch and tastes fresher as this is prepared in store.